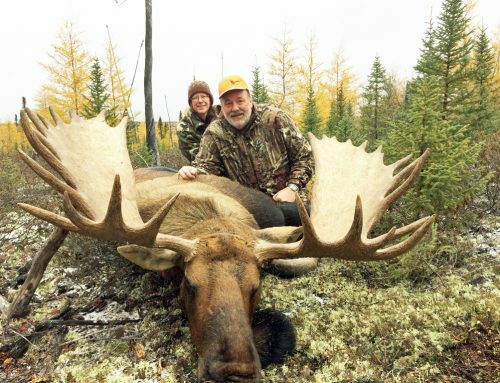 There are some common threads running through the families that hunt and fish with Webber’s Lodges. 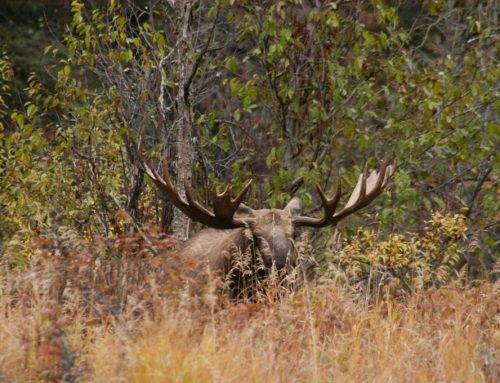 Not only do they cherish the outdoors and understand the true value of nature when it comes to raising a family, they’re also strong supporters of conservation organizations. And many of the patriarchs who bring their families on trips with us are also self-made men with strong traditional family values similar to those of our own. 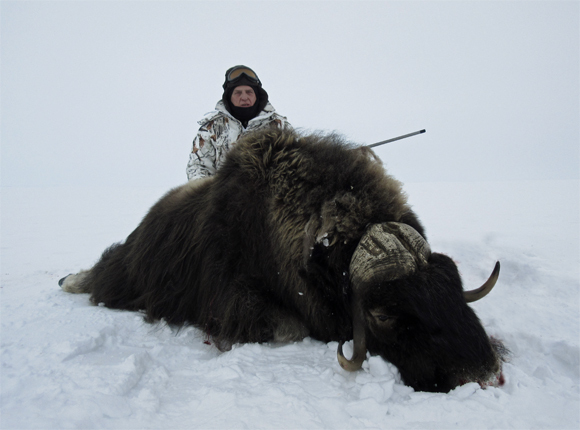 Jim Yuel was recently up with us for a musk ox hunt in Nunavut, and he brought along his son Greg and grandson Yuri. 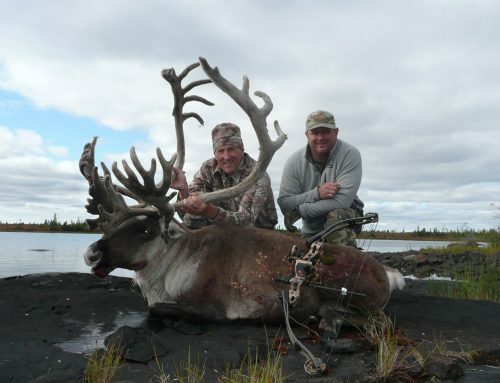 The trip was organized by his hunting buddies Joe Moore and Gord Banda, who were also on the hunt. Now 74 and soon to be 75, Jim Yuel has been on quite a few hunting and fishing adventures over the years, but he’s certainly earned his opportunities. He grew up on a farm in Manitoba, quit a good job and started his own business selling water treatment chemicals to small towns on the prairies. That was 40 years ago. What was then known as Prairie Industrial Chemicals is now known as the multi-million dollar PIC Investment Group Inc.
Jim plays more of an advisory role in the company these days. Greg is now the CEO of PIC Investment Group, but despite the hectic lifestyle of running a large company, he still makes time for hunting and fishing with his father and son. The group flew directly from Saskatoon to Baker Lake with their own aircraft. The hunt was supposed to last until Saturday but everyone had tagged out by Thursday, so they used the Friday to do their registering with conservation officers, look after the hides and the meat, and left a day early. 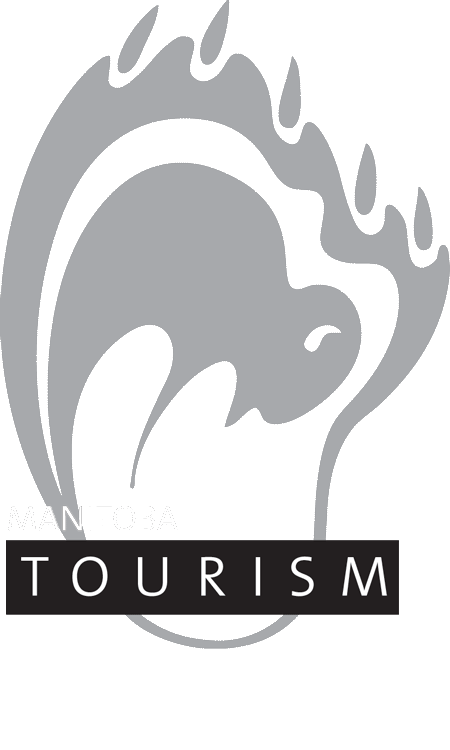 “Really good outfitter and local guides,” added Greg. 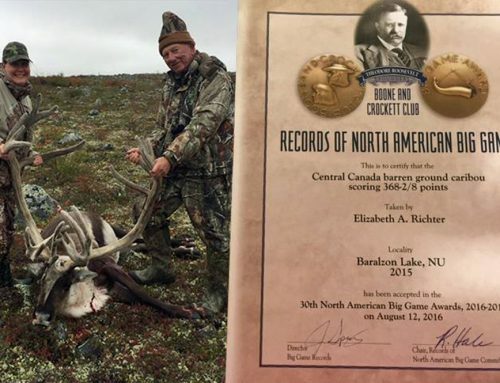 “That was really nice and certainly required in that hunt. Local guides are important and I understand why. They were very professional guides first and local guides secondarily. 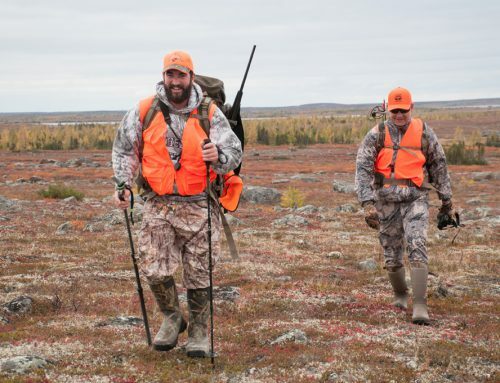 They took a huge amount of pride in their guiding ability and they were extremely respectful of the wildlife. I was quite impressed with that. “And it was a tricky hunt, as you would know. 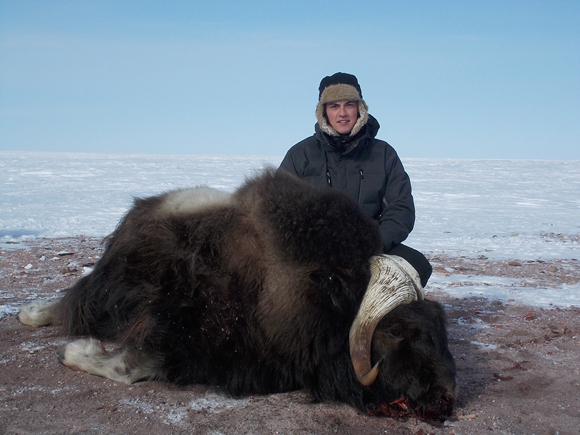 The identification of a musk ox from 200 yards away is pretty near impossible. We had lots of sights on individual animals and excellent communication with the guides. ‘Second from the right? Is it a good shot?’ Looking through the binoculars, the guide would say nope or yep. It’s impossible to tell a bull from a cow but they knew. I never would have guessed it would be that hard. “They would look at the distance between the horn, the amount of material between the horn, and the fullness of the horn. Is the horn bushy or is it flat? Talk about hard. Females have an inch wide gap between the horns, while the male’s come almost together. And the female’s horns are broader and flatter. The male’s horns are stouter and bushier, so that they can bash each other. How do you tell that through a set of binoculars 200 yards away, when their head has been used to scratch the snow and dirt back from the lichen, which is a foot deep. Every animal has dirt and rocks and snow all over their foreheads. 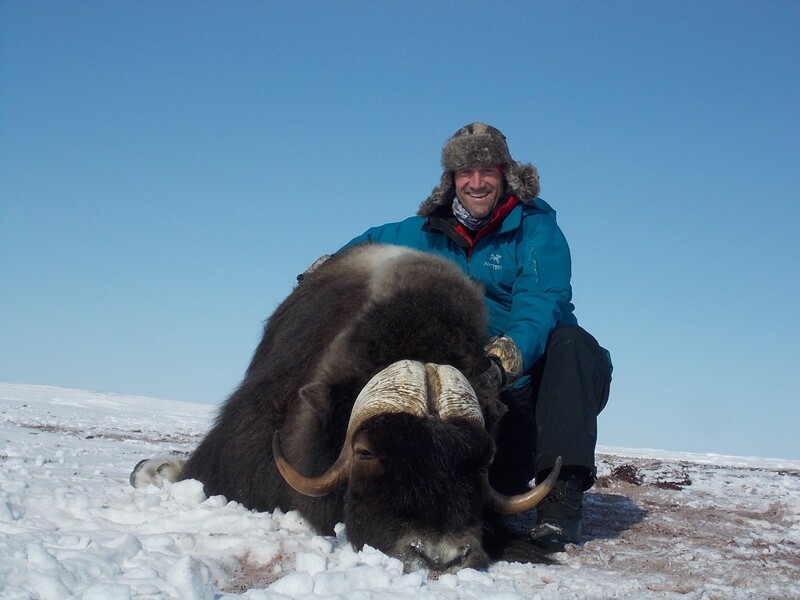 The weather was extremely cold for the second of two musk ox hunts according to Jim, but the group had anticipated well and dressed for it. All part of the adventure that Jim, Greg and Yuri thoroughly enjoyed. Greg is a lifelong hunter who started hunting with his Dad as a kid, but mostly went fishing. 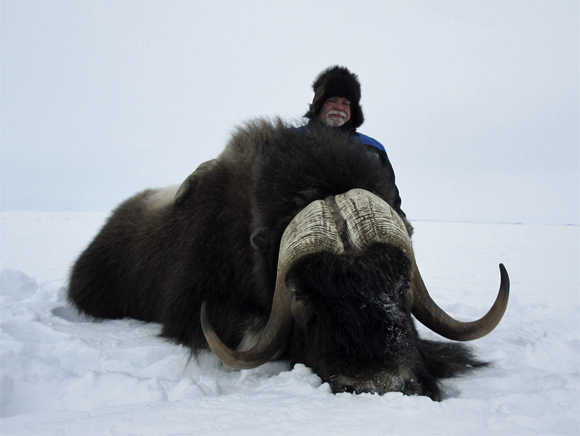 He’s now hunted caribou, moose, deer, elk, buffalo, musk ox and bears, the latter also with Dad, just to watch him. “Dad is an expert bear hunter,” said Greg. 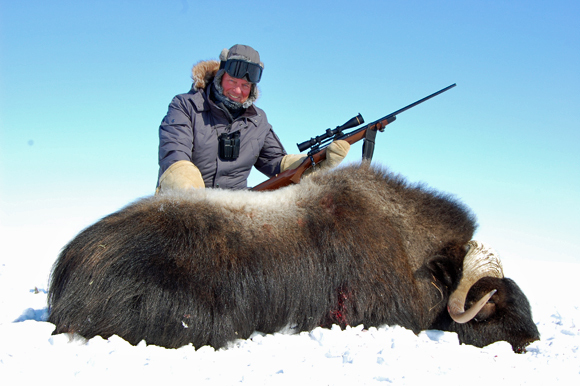 Jim has hunted Alaskan Brown Bear three times and has been going archery hunting for bear every spring for 40 years. While Greg and Yuri also loved the adventure, Greg was looking forward to this particular hunt for another reason. The hunting tradition will obviously continue in the Yuel family based on great memories of adventures past and present, but it’s even more likely that a fishing tradition has been passed on to Jim’s seven grandchildren, four in Calgary and three in Saskatoon. Being outdoors together as a family has amazingly positive effects on relationships, and is highly valued by the Yuel family. The lost art of personally connecting with people has been ingrained in the Yuel youngsters. Beyond the obvious benefits, how important will the ability to actually connect with people be in the future — for jobs, for family, for future successes, and just good old-fashioned happiness? “You know, people are different when they’re out together around the campfire or they’re sitting in a boat together,” said Jim. “They’re open and they’re honest and they’re up front and they talk. They share things. That doesn’t happen in almost any other venue. When they were young, preteens and early teens, yes they were excited about going and I thought it would wear off, but it’s not true. They’re just as excited looking forward to that trip now as they were when they were 10 years old. Now, when you get them all together they get laughing and joking with each other and they start sharing memories of previous trips. It’s just amazing to watch. “Despite all the technology, whether it’s Facebook or Twitter, they’re not really connecting there. They’re anonymous. They’re throwing things out there. They’re reacting to responses. There’s no personal connection. In this case they’re really connecting. They’re remembering past experiences and relating to one another. As for the future? Jim Yuel goes to the gym three times a week and spends an hour with a personal trainer. He’s also got an understanding wife, Lisa, who says he should do what he wants, because he earned it. And you know he’s planning to do just that, especially with his grandkids. Yuri Yuel. The next generation.